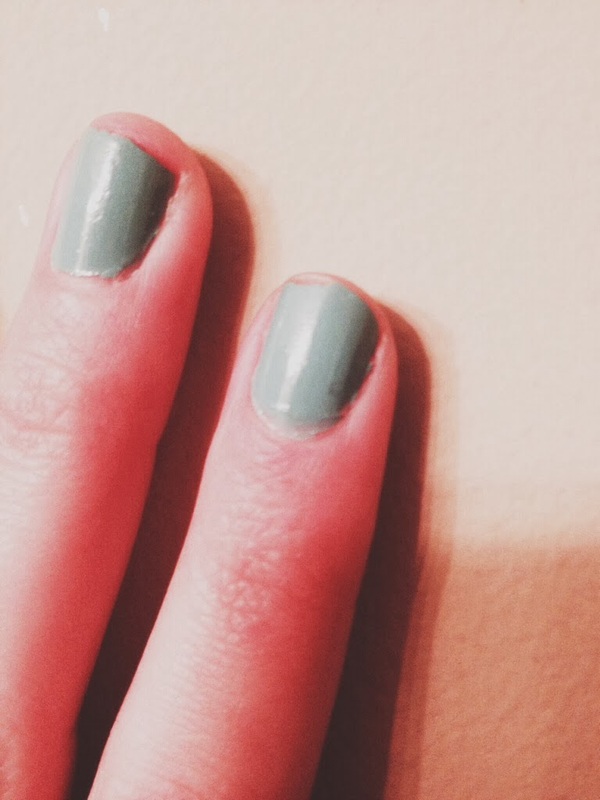 I paint my nails all the time, but unfortunately my life isn't conducive to keeping a manicure. Working, typing, and cooking make my average manicure last about 4 days before it looks atrocious. 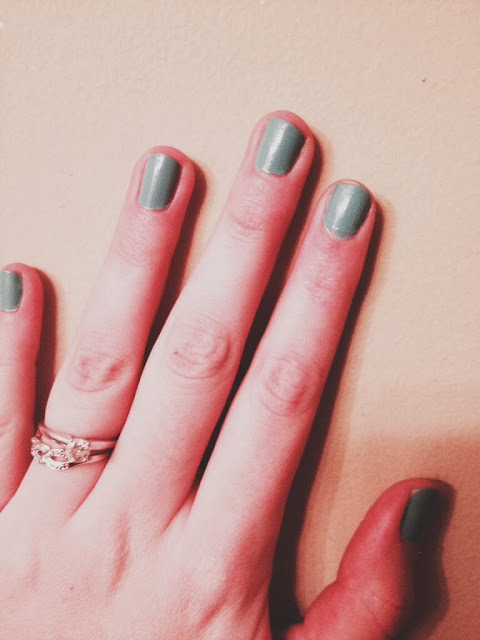 I'm always on the lookout for a product that will help keep polish on my nails, and I think I finally found one. 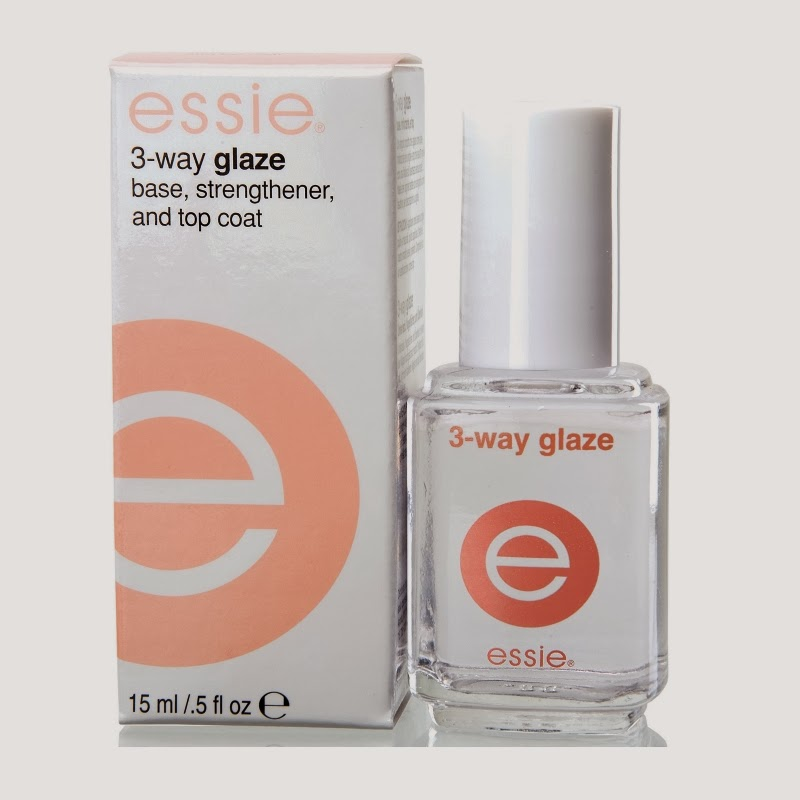 Essie 3-Way Glaze - get it here. I first used this at my friend Ashley's house because I am that friend who waltzes into your home and uses your nail polish. 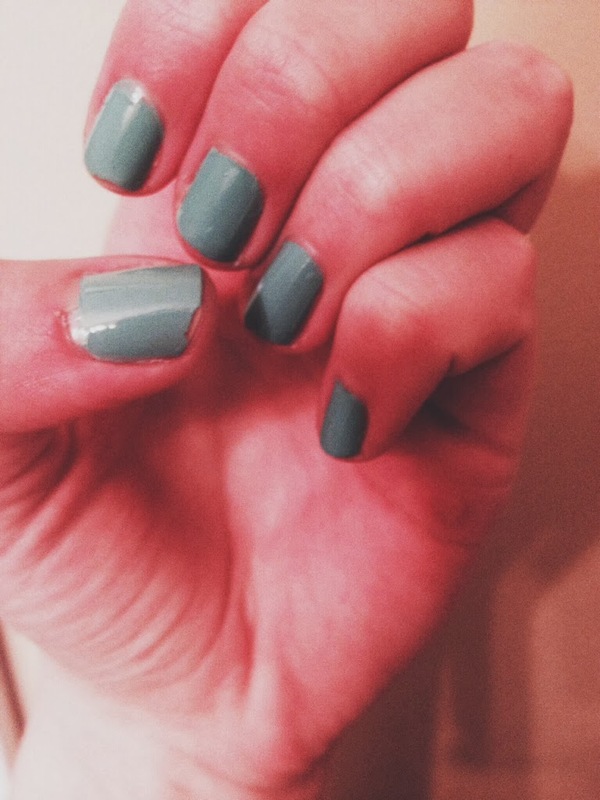 That was Friday, and my nails still look really good - even after a pretty grueling retail shift. I'm really impressed with the staying power of this stuff. It was very easy to apply - no globs - and dried super fast even though there were at least three layers of polish underneath it. If you have trouble keeping polish on your nails, I would definitely recommend giving this a try!